On hair care treatment that took the beauty world by storm and continues to be a preferred option is Keratin treatment. Keratin is a fibrous protein that is the main component behind the structure of your hair. So, a Keratin treatment basically helps restore this protein content in your hair. 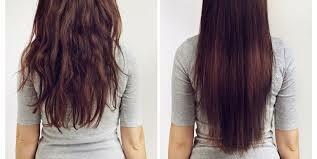 The keratin fills the porous parts of your hair and less porosity means lowered breakage and fewer tangles and frizz. Keratin is lost over the years due to age and the chemicals found in various hair products. This treatment helps in putting back the protein to restore shine and health to the hair. Keratin treatment is tailor made to fit your needs. So, visit a professional to let them examine and tell you what kind of treatment suits you best. This consultation helps them determine the best formula for your hair to maximise results as variations in chemicals can change your hair tone etc. Depending on your hair colour, damage, requirements etc. treatment id formulated accordingly. It is important to follow post treatment instructions given to you by the expert for best results. This includes the use of dry shampoo and refraining from tying you hair up in buns or ponys. They will also ask you to check the contents of the hair care products you use currently and make changes in case they counteract with the treatment.